One of my favorite parts of the holidays is wrapping all the presents. And each year I love creating my own unique Christmas gift tags. Last year I created these fun Holiday Gift Tags. See, each year I love to have my Christmas gift wrapping coordinate with my decor. Last year my gift tags were fun and bright, just like my Very Vintage Christmas theme. So, this year my wrapping is consisting of mostly black and white. And I wanted my Christmas gift tags to add a little pop to the wrapping paper. I found some beautiful watercolor illustrations and added them to each tag. Lately, I am loving the beautiful hand lettered fonts. They add a bit of whimsy to the design. And each of the 12 designs is unique with a different saying a design. Download the file and print out on your colored printer using cardstock paper. Cut out each design with scissors. And tie them with some fun baker’s twine. 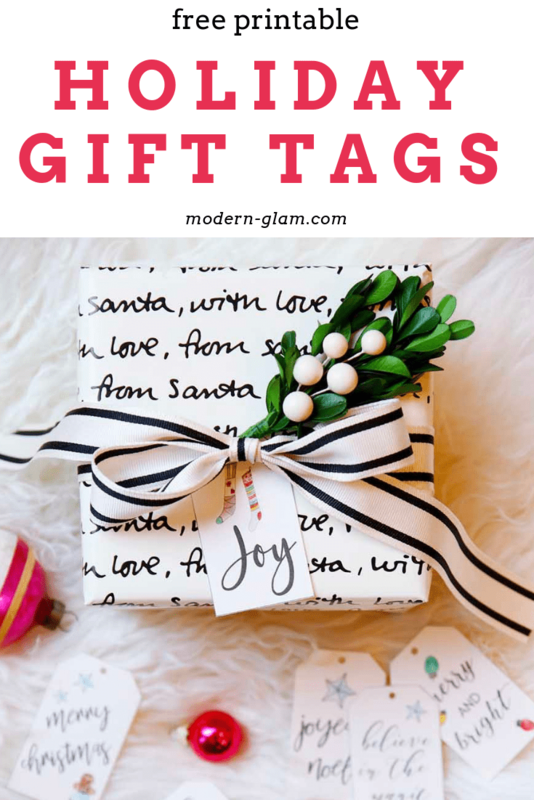 Now you have some easy and FREE Christmas gift tags! There are a total of 12 designs that can be downloaded and printed on regular cardstock paper. 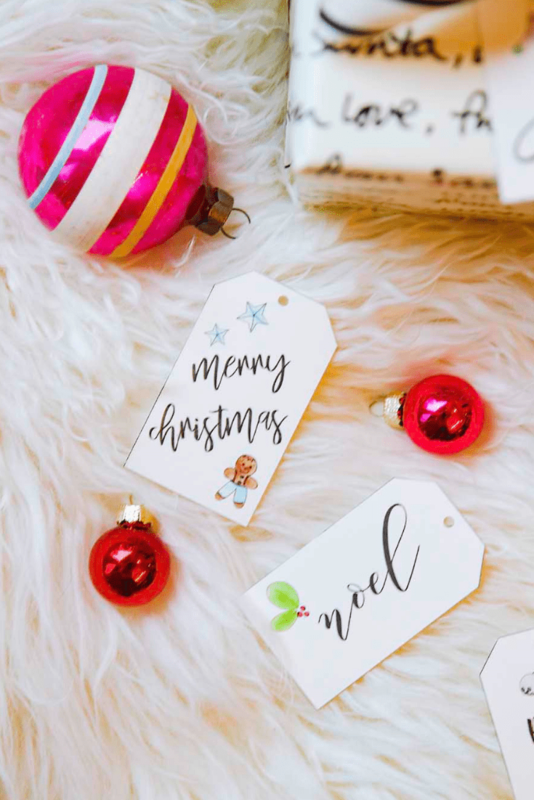 Feel free to print out multiple pages of these hand lettered Christmas gift tags. Make sure you have enough to wrap all your presents! 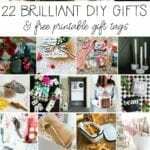 And be sure to visit all my friends that are joining me and sharing their beautiful DIY Gift Ideas. Tis the season to get crafting! 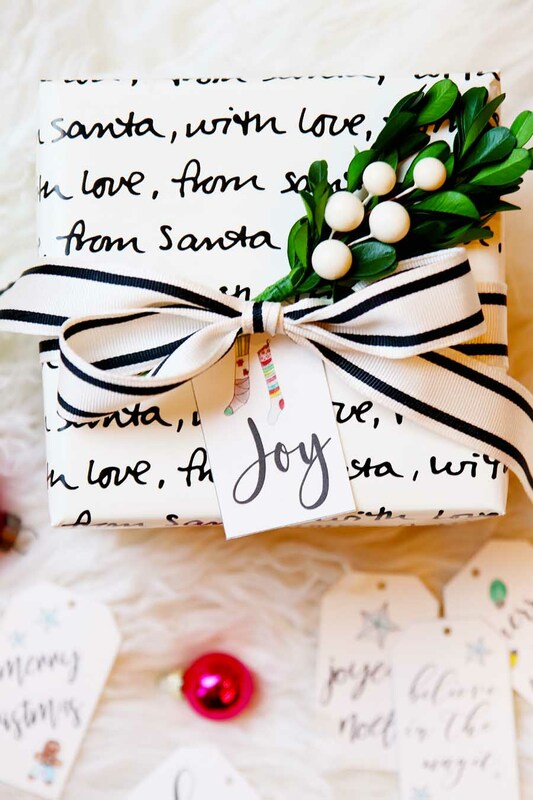 I love the pretty gift tags. Thank you for joining the blog hop ashley! 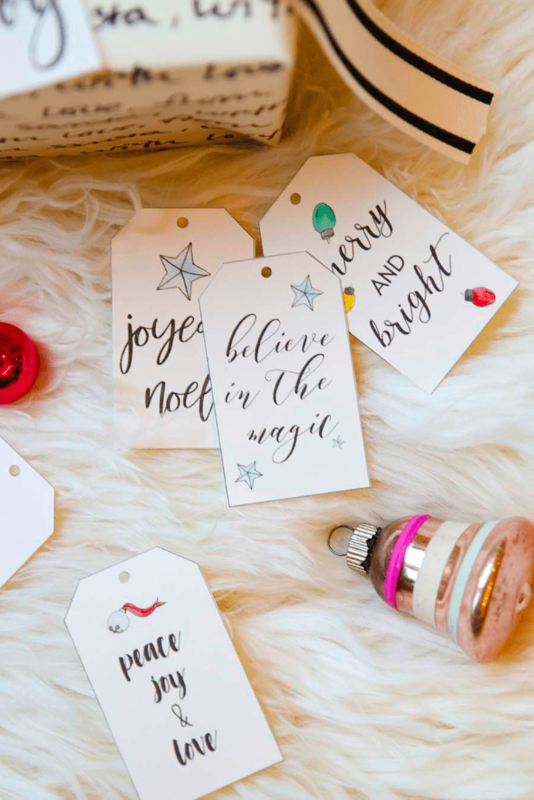 These are really lovely…homemade gift tags are such a nice way to add personal touches to gift giving!